"...to be able to share something so personally meaningful with others." Where did you study and with whom? 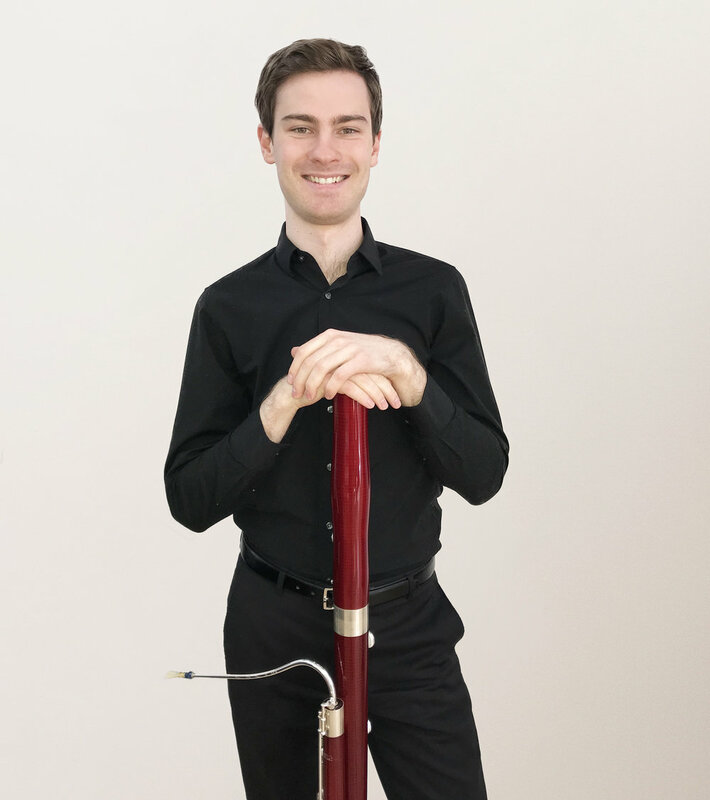 I studied with Andrew Barnes at the Sydney Conservatorium of Music before participating in the Sydney Symphony Fellowship program with bassoonist Matthew Wilkie. What's one of your earliest musical memories? Forgetting my ligature for our group clarinet lesson, the only piece I could play that day was Cage's 4'33''. Read more about Tim's life with the bassoon. Why did you start learning the Bassoon? I'm a reformed clarinettist. I think every bassoonist is drawn to the exotic. At first the quirks and idiosyncrasies of these acoustically imperfect instruments are frustrating but soon they become charming and give the instrument it's particular character. How did your find your overseas study experience? I travelled to Germany; it was exciting to learn from people who I'd only ever heard on CDs. I'd listened to them performing but suddenly I was able to ask questions and discover what the thought processes were behind these exceptional musicians, such as my teacher Bence Boganyi. Greatest chamber works for the bassoon? Mozart's Sonata for Bassoon and Cello K. 292 springs to mind. The musical language is so similar to one of his piano sonatas. The writing is paradoxically pared down yet rich, there's always another nuance you can accentuate. What makes performing music important to you? It's a joy to be fully immersed in a piece of music and the easiest place to do this is on stage. It's a pleasure to be able to share something so personally meaningful with others, whether it be chamber music colleagues or the audience. See Timothy in concert this November for Joie de Vivre.